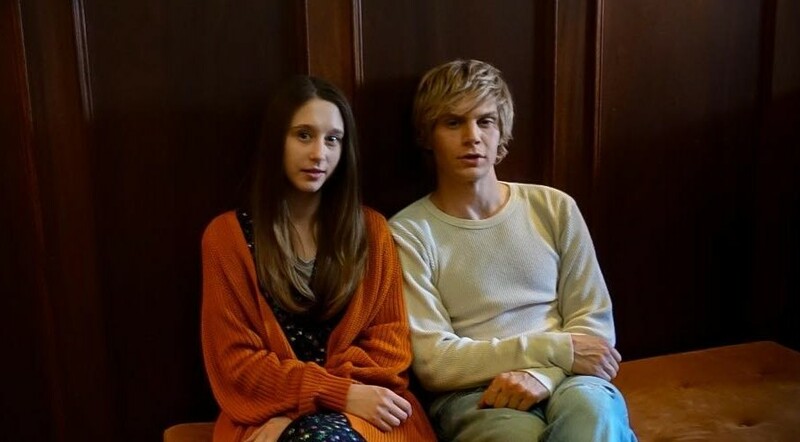 Violet and Tate are "Together Forever" in New 'American Horror Story' Shot Featuring Taissa Farmiga and Evan Peters - Horror News Network - The Horror News You Need! While the question mark in Murphy’s caption certainly suggests their relationship will be as troubled as ever, longtime AHS fans will surely be thrilled to see the adorable couple sitting together again as the eerie stained glass of the Murder House looms in the background! Soon, all will be revealed on Violet and Tate’s relationship status, and how they’ve been holding up over the past several years… American Horror Story: Apocalypse premieres on FX on September 12th, 2018. Stay tuned to Horror News Network for more details on this exciting project as they break!